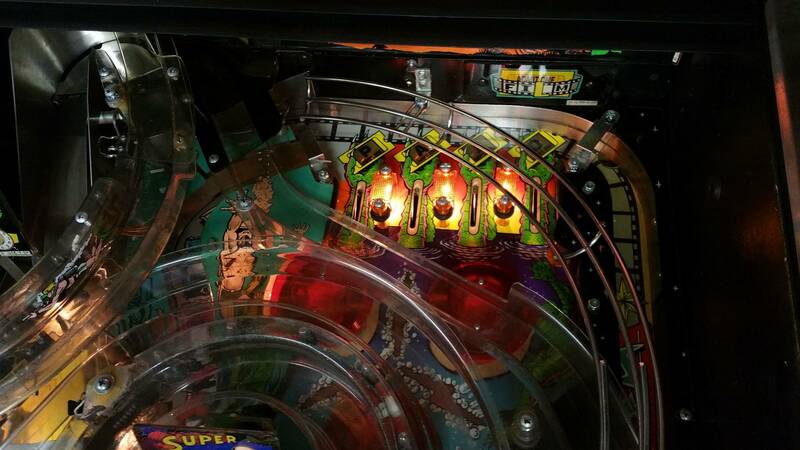 Machine is fully functional (no dots) and in excellent condition. Moved the battery off of the CPU board. Hologram working. Machine in walk-out basement with easy access. These are mturlik's all time market stats. 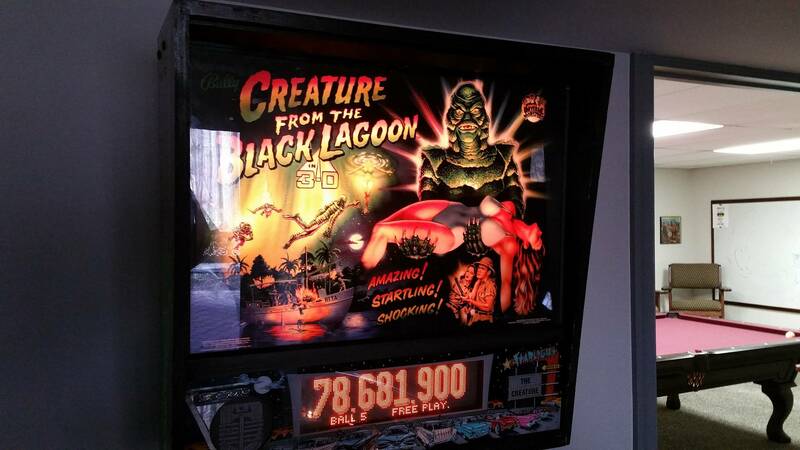 My wife and I are downsizing homes and consequently I need to sell my Creature of the Black Lagoon pinball machine. 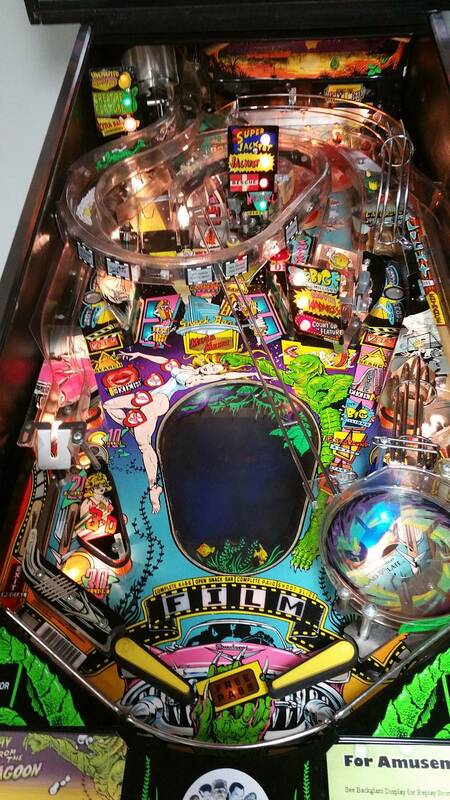 I listed the machine, which is in excellent condition for $7,000 OBO. When I searched on the internet I am seeing the machine priced from $8,000 - $12,000. This makes me believe that I am asking a reasonable price for the machine, but I have had no interested since posting the ad a couple of weeks ago. I am new to pinside and am thinking I am doing something wrong with my ad? Any thoughts as to why there is no interest? Nothing wrong with you ad, the price is probably much higher than what people around here will pay. The "internet search" always pulls up unrealistic ebay asking prices (which are basically advertising - games never sell for those prices) and retail prices, which are for reconditioned/warrantied games priced much higher than hobbyists around here pay for as is machines. Nothing wrong with the ad but I think most people around here would say it's a $4,000-6000 game these days. Either way good luck with your sale. Your ad should generate private dialogue with possible buyers and you can go from there. Agree, price range is $4-6K. You listed condition as "Fully restored / full original status". I would say that is a problem when you have not backed that up with adequate pictures: that invites skepticism. 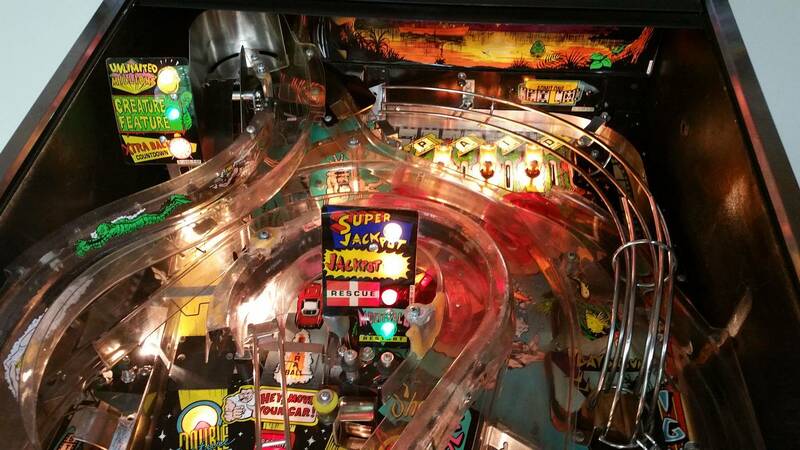 Take the glass off and take some good pictures of the playfield along with some close-ups: holes where the ball drops through the playfield, lanes to left and right of slings, and plunger lane. 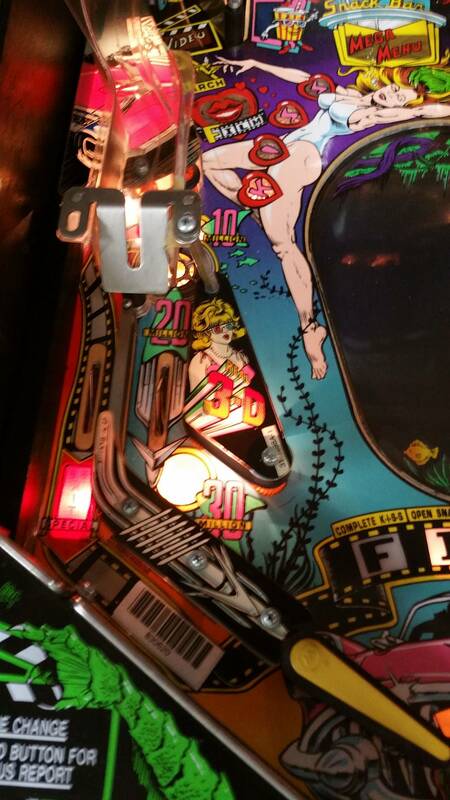 If the machine really is in restored condition, you should be able to sell at the high end of the range. 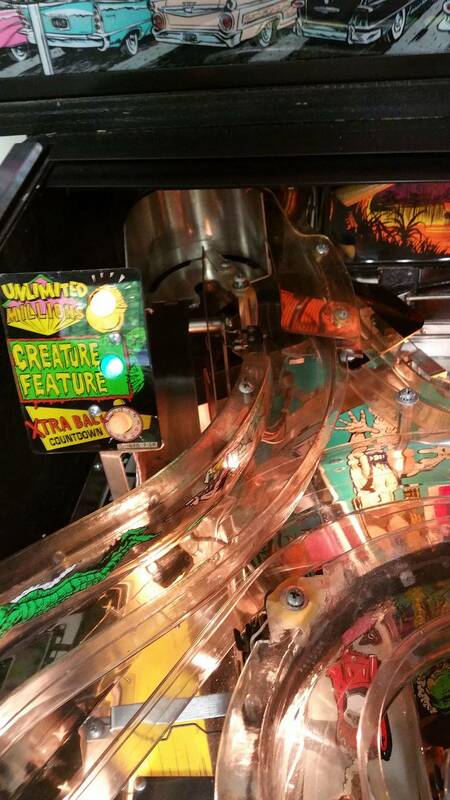 A fully restored Creature with all new ramps, hardware, plastics, playfield, new coin door, and rebuilt cabinet fetches around 8k. Yours looks nice, but based on the wear marks by your coin door has seen considerable play. 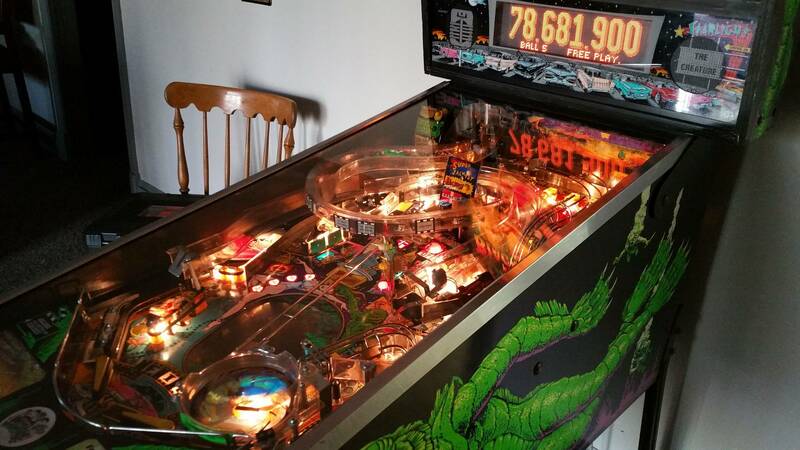 Another issue is the credit dot, I'm sure it's something minor like the ball not passing through the bowl in a while, but would be good to clear up the cause. Last thing, and most importantly for this title... how green is the hologram? Is it original or a reproduction? 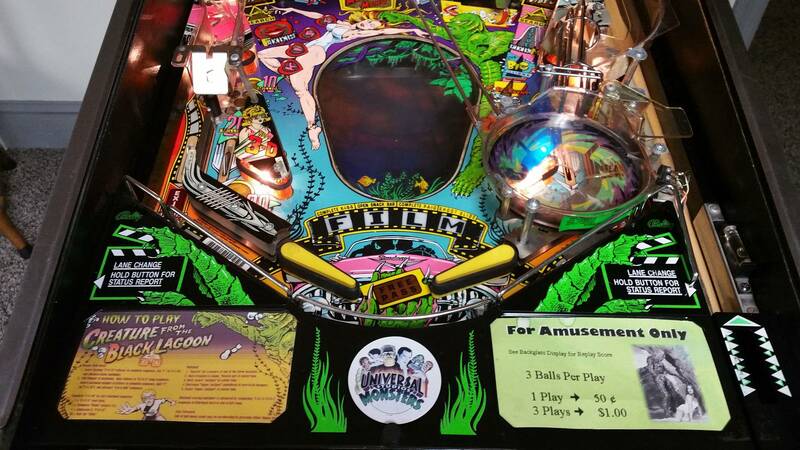 I'd take some close ups of the playfield, shooter lane, boards in the backbox (especially near the batteries), and the hologram when lit. The translite is also hard to find in nice shape, I'd take a picture of the back of it. If it's nice that also adds substantial value. I would be looking for at least $5k. A good, working Creech is worth at least that. Took your advise and took the glass off and shot a number of additional images of the machine. Hopefully that will help. Also I figured OBO meant interested parties would make and offer. Is that what OBO means? That is correct for OBO however most (not all) would not see an add for X amount and try to offer 2k less. OBO Typically means for the right opportunity (cash, pick up, BFF) you would be willing to come down a few hundred. A few thousand would be an insult in my opinion. Your game looks pretty nice, remember that higher end titles Will take longer to move as that market has fewer opportunities. Not to disagree with others but at least as of recent Creeches have quickly grown in popularity and interest. In my opinion 6 would be the floor for your machine. 4k would be a Trashed game which your machine does not appear to be. Better pictures and let it simmer for awhile, you will find a happy buyer in time. Good luck!! 6,000 bucks the floor for an as-is creature pulled out of a civilians house these days? I don’t know man. Sounds wrong. If I were in Frederick I’d start the convo around $3500 and go from there. Pacific Northwest is generally on the high side of pricing, and I've seen them selling in the 4's for average condition. Here's one that has been sitting for a couple of months at 4800. Don't forget, ebay prices are also jacked up to cover the fees. I have a game posted here and on ebay. My eBay price I s almost $1000 higher to cover fees. This is why nothing sells on ebay. I'm about 40 minutes NW of 'Fredneck' (its allowed I used to work there LOL). You might always find somebody south or southwest of you who just 'wants' a Creech, who knows. Also nowadays, there are many titles for sale at that over $6,000 threshold. Agreed, Been wanting a Creech for a couple years now so have always been watching prices. I would consider this a base pin. No upgrades, credit dot, Not shopped. Probably has lots of minor issues. $4000 tops if it looks nice. 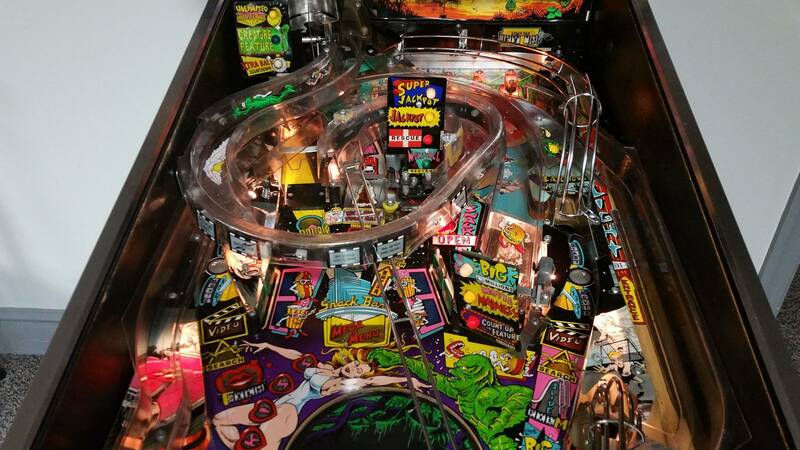 People see these truly restored, upgraded, mint condition games sell for big $$$ and all the sudden think there game is worth close to that, They don't realize the thousands of dollars and many hours it takes to get a base game to a collector quality pin. 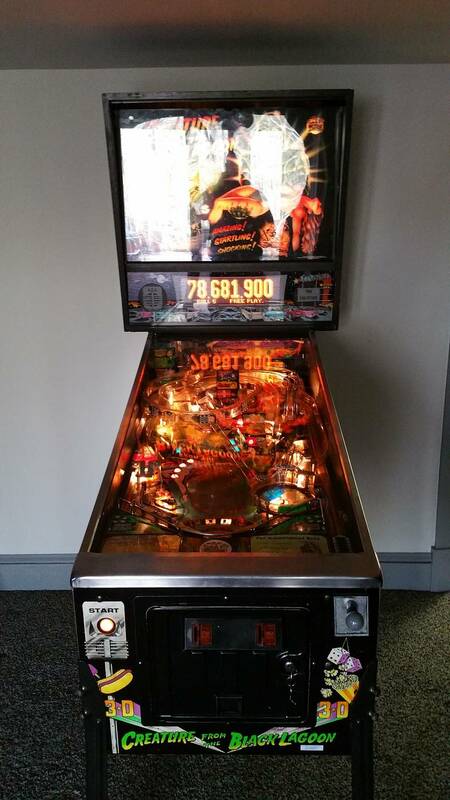 Player machine, clean, but with a credit dot, some decal issues, looks like a $3500-$4500 pin to me. $8k? Nope. No way. The ramp that leads to the whirlpool shows areas where it was broken then repaired.